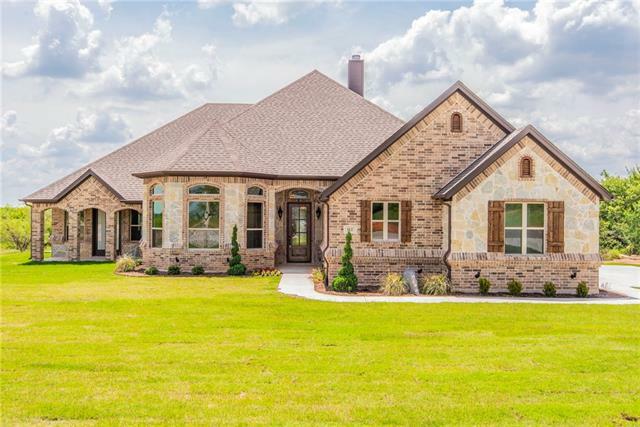 All Boyd homes currently listed for sale in Boyd as of 04/24/2019 are shown below. You can change the search criteria at any time by pressing the 'Change Search' button below. 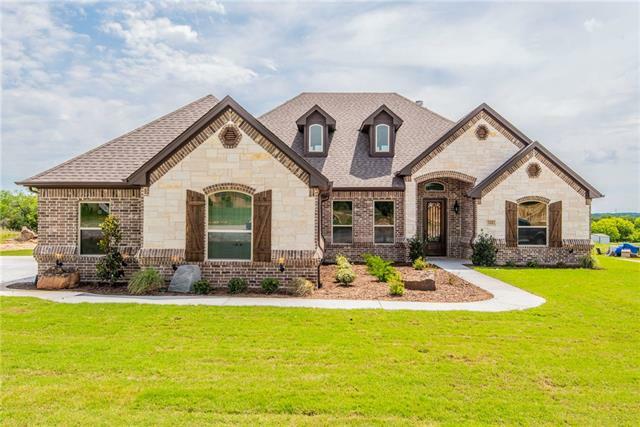 If you have any questions or you would like more information about any Boyd homes for sale or other Boyd real estate, please contact us and one of our knowledgeable Boyd REALTORS® would be pleased to assist you. 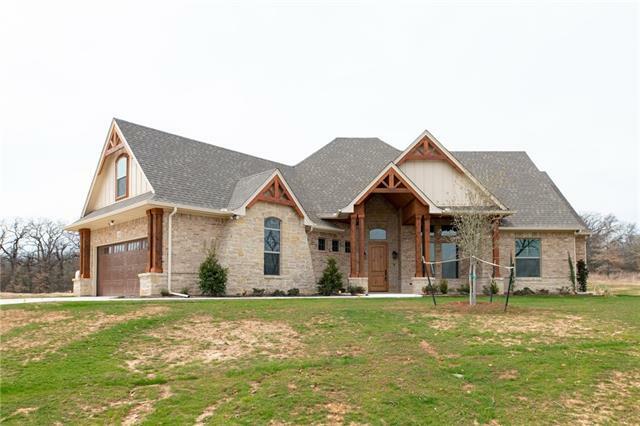 "Perfect floorplan for family as well as entertaining with features you will swoon over on 10 secluded acres plus pond! Open concept boasts custom kitchen with gorgeous granite, SS appliances, double ovens, gas cooktop, Faber venthood and huge pantry. Enormous master and ensuite with designer tile, TRIPLE shower heads and master closet that needs its own zip code. 3 secondary BR with attached baths. Wireless smart home featuring parental controls, lighting, sound and comfort controls and Dolby At"
"SEE VIDEO FOR AERIAL SHOTS OF LOT! Colonial-style home with customized craftsman interior on 4 acres of land. Fully renovated down to the studs, including updated kitchen, new appliances, immense six-sided island, and exquisite Aga stove. This home features 4 bdrms, 3 newly designed bthrms, 4 walk-in closets, and 2 laundry hookups! Large balcony off the master bedroom. The home features an open concept design with large living and dining rooms. 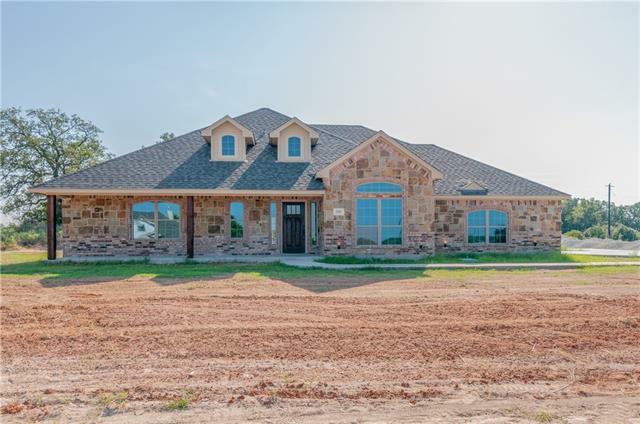 Large picture windows off the kitchen-family room o"
"Horse Property Close to DFW!!! 5.07 Acres in Great location with a very nice four bedroom, four full bath home with granite counter tops throughout. The master bedroom has its very own sitting area and a mother in law suite with kitchenette as well. Each bedroom has a walk in closet and there is lots of storage room throughout house. 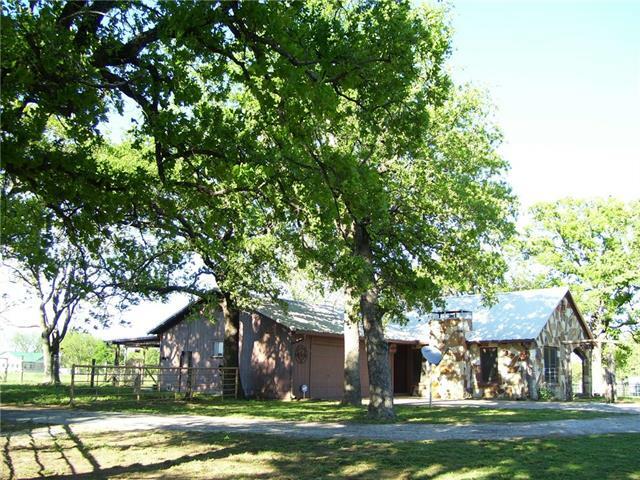 This property consists of an outdoor arena, an eleven stall barn with tack room, pasture to turn horses out, and a 30x30 shop with electricity. 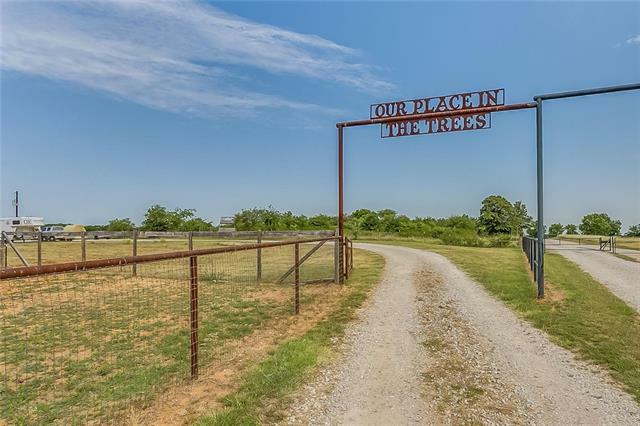 Come relax by the Po"
"This spacious home features a one acre lot with ample room for entertaining. 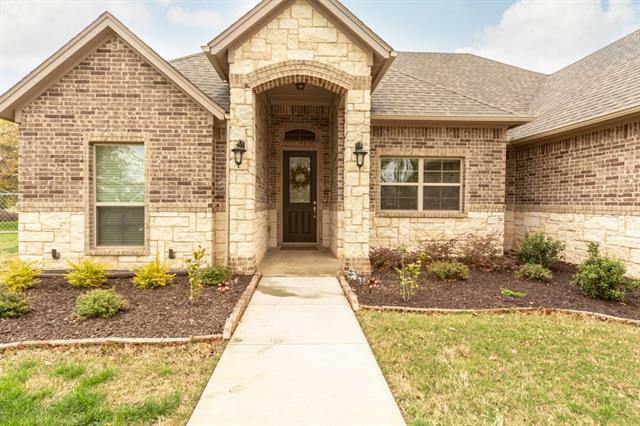 The kitchen has a raised breakfast bar that you can eat at, gas cooktop, stainless appliances, granite countertops with tumbled marble backsplash, built in pantry and is open to the living room. Raised ceilings, decorative beams and a WBFP are just a few upgrades. The master retreat boasts a relaxing atmosphere with built in chest of drawers in the closet and access to the utility room. The backyard has a large covered "
"This elegant home sits on 1 acre lot and offers amble living space. There are several living areas throughout the home for entertaining. The dining and living areas share a see thru fireplace. The study boasts elegant ship lap walls. The outdoor living area boasts a fireplace and large patio area overlooking the yard. Home is 60 days away from completion." "Upon entering, you're greeted by expansive ceilings and a winding staircase to the second floor. There you'll find 2 bedrooms and bath. The walkway overlooks an amazing living area. On the main floor, the open plan extends over 40 feet to accommodate living, kitchen and dining. Stained cabinets, granite, filed floors, built-ins, 20 foot beamed ceilings, floor to ceiling fireplace, all grace this view. 11x18 media room is adjacent to the living area. The master consumes one end of the home "
"End of April Completion! 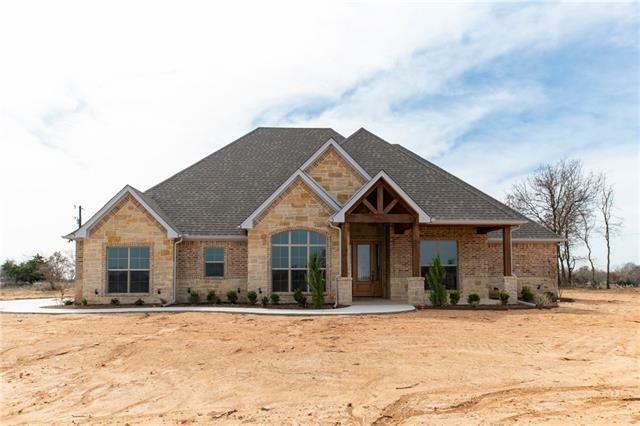 This beautiful new construction home offers a great layout with 4 beds, 2.5 baths, Media Rm and a terrific home office. The gorgeous plan offers beautifully stained hardwood floors, granite countertops and two fireplaces. 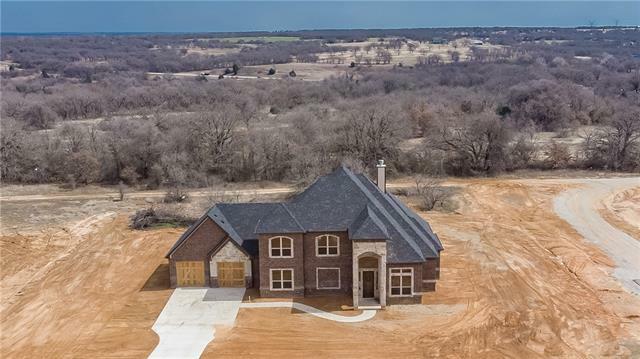 The second fireplace is situated for great entertaining on the oversized covered outdoor patio all while the home is situated on a gorgeous 1.18 Acre lot." 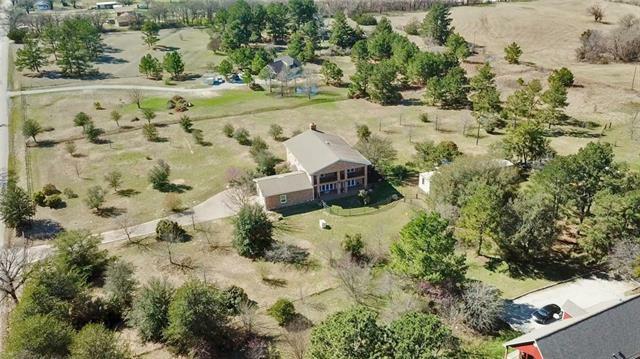 "This beautiful home is situated on 1.8 Plus acres. 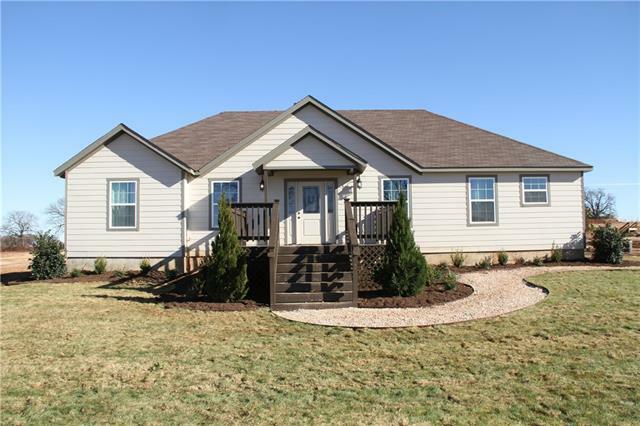 Home is 4 bedrooms with study or could be 5 bedrooms with 3 full baths. Large walk in pantry, open concept with vaulted ceiling in living, split bedrooms. Large kitchen." 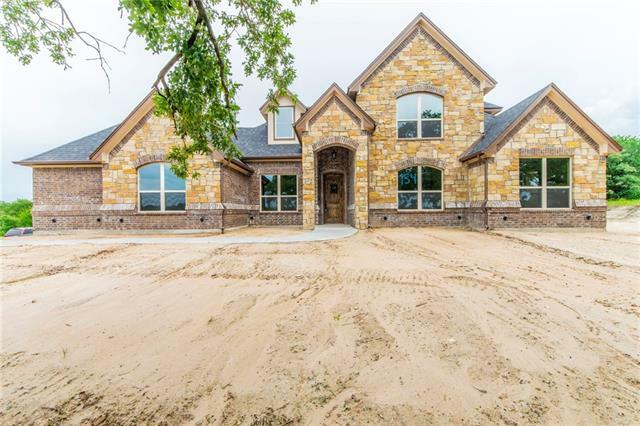 "Beautiful new construction, custom spec home on 1.806 acres. 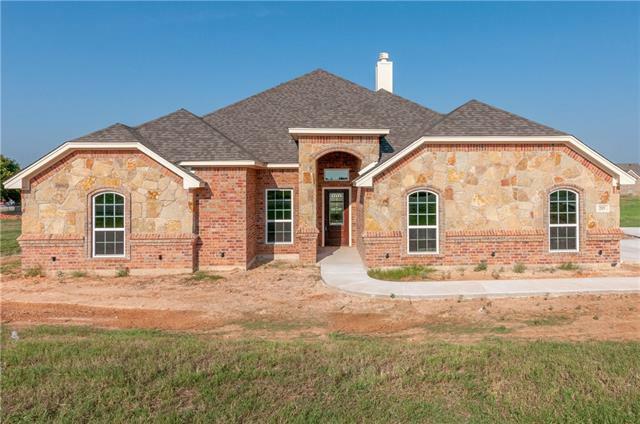 Home features crown molding, raised ceilings, split bedrooms, granite countertops throughout. Custom cabinetry with covered front and back porches. 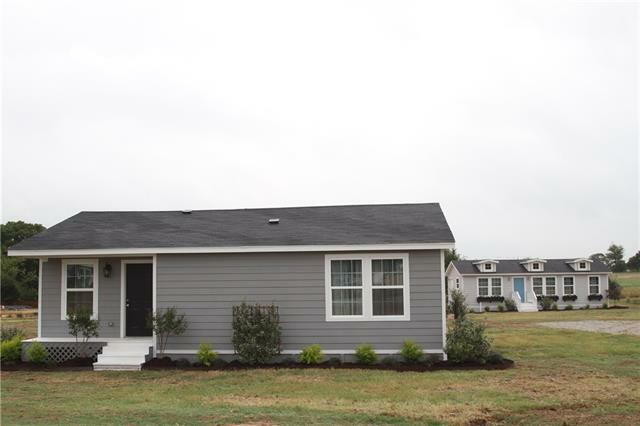 This home offers a great entertaining floor plan, sprinkler system and landscaping. Ready to move in and enjoy!" "Amazing new build by Dauenhauer and Associates, estimated completion mid May. Dauenhauer & Associates is a leading and trusted name in the residential contracting industry throughout Northern Texas and surrounding areas. From design and build to infrastructure projects and construction management, they provide an unparalleled approach to quality, customer service, and excellent craftsmanship from start to finish. 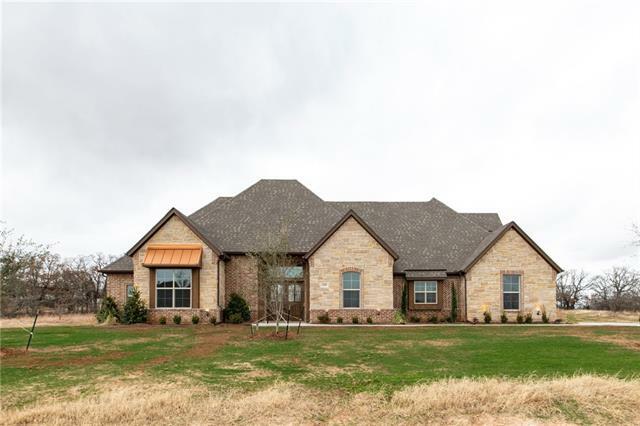 Schedule a showing to see the finish outs of this spacious home!" "Near Completion!! 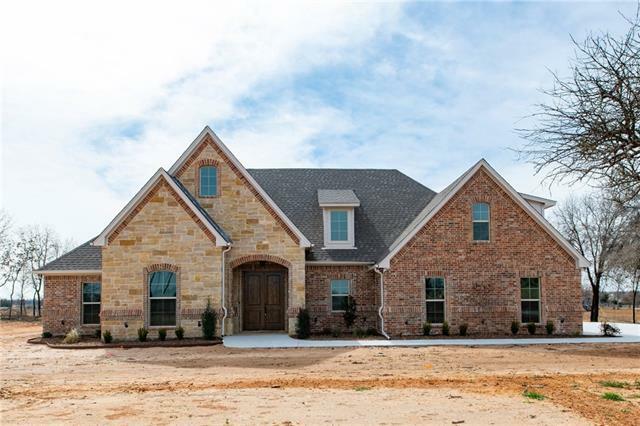 This beautiful new construction home offers a great layout with 4 beds, 3 baths and a terrific home office. The gorgeous plan offers beautifully stained hardwood floors, granite countertops and two fireplaces. 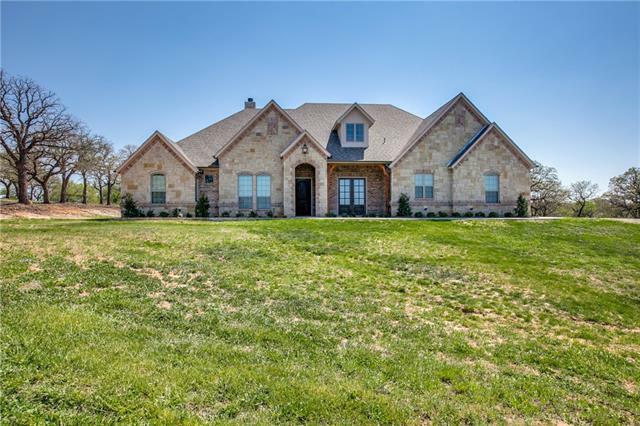 The second fireplace is situated for great entertaining on the oversized covered outdoor patio all while the home is situated on a beautiful 1.18 Acre lot." "Price change due to building plan change. The building plans are subject to change; price will change accordingly. Cruise Town is a new gated community. Come early and pick out your own colors and finishing touches. This community has a Clubhouse, Pool and Man Cave Workshop. The game room can also be a 4th bedroom." "New Building Plan! Buyer's welcomed to bring their own plans for approval. Cruise town is a new Gated Community. Custom Homes with several plans to choose from. Come early and pick out your own colors & finishing touches!. PLAN NUMBER 65862"
"The building plans are subject to change; price will change accordingly. 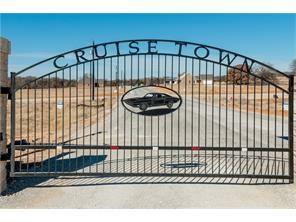 Cruise Town is a new gated community. Come early and pick out your own colors and finishing touches. This community has a Clubhouse, Pool and Man Cave Workshop." "PRISTINE Four bedroom two and one half bath home. EASY and OPEN floor plan with split bedrooms. Gourmet kitchen has all the essentials. Double oven, microwave, single bay sink, all stainless appliances. Uber large utility and mudroom with a storage wall. The formal dining area could easily be an office space. Master bedroom en-suite is a dream! Dual vanities, an ultra modern soaker tub and an amazing walk-in shower. The outside is fenced and heavily treed. Enjoy relaxing views on the bac"
"The building plans are subject to change; price will change accordingly. Cruise Town is a new gated community. Come early and pick out your own colors and finishing touches. Fourth bedroom off living room could also be a media room, office, etc... This community has a Clubhouse, Pool and Man Cave Workshop." "Nicely remodeled home that sits in mature oak trees. The house has new wiring, plumbing, and a newer water well. There is a small horse barn and the property is fenced, cross fenced. Very nice back patio with roll down shades, new flooring and stainless-steel appliances." "Neutral colors throughout, the design is French Farmhouse inspired. There are rustic tones in the living room ceiling beams and elegant chandeliers in the dining room and kitchen. Touches of wood continue in the kitchen butcher-block island and large barn door to the laundry room. The guest bathroom has a mix of tile and wood surround. Master suite is sundrenched with windows and French doors take you to the private patio. The en suite has dual closets and a unique shabby farmhouse double vanity"
"This modern Tudor style home sits on 2 acres. The charm starts with the inviting front porch. The living room has a beautiful custom coffered ceiling. Open concept living, dining and kitchen extends to an oversized built-in back deck accessible through French doors. Ample traditional cabinets are mixed with wood floating shelves in the kitchen where there is a large granite island with unique pendant lights. Functional laundry room with tons of cabinets and a sink. 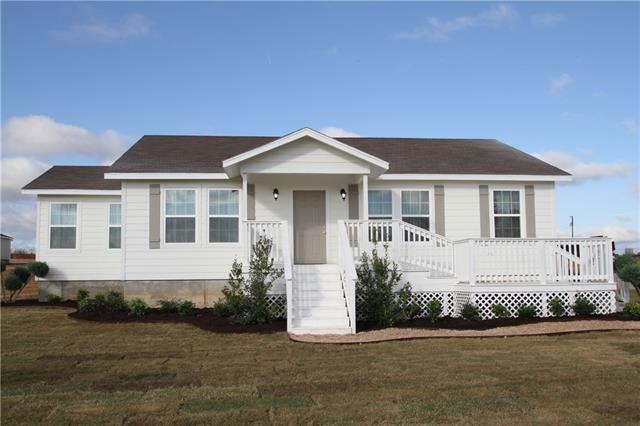 Master bathroom is a mon"
"The house is 1,364 sqft with 3 bedrooms, full baths and a carport. Stepping inside, the home has rooms that flow into one another. The tray ceiling in the living room is fitted with down lights to highlight the space. Warm gray shades are used in the tile backsplash and granite in the kitchen. The master bedroom has an en suite and walk-in closet. The large room features a built- in wall of shelves that creates a nook around the bed. The casita 646 sqft space feel bright and airy. The 1 bedr"